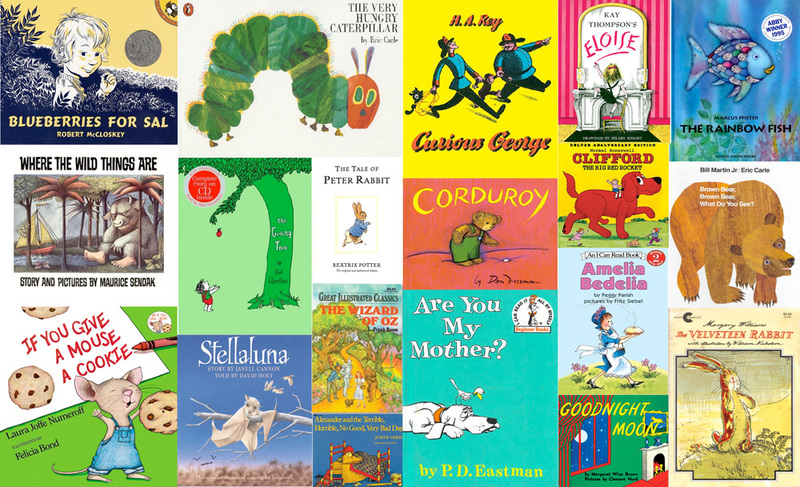 This page is all about kids’ books! Research has proven that cultivating a habit of daily reading is vital to the healthy development of the child’s brain. Reading refines reasoning skills, builds vocabulary, enhances writing skills and stimulates the imagination. Books can truly be a child’s best friends; the challenge, just as it is with human friends, is finding the right ones. Hopefully this page will help! The first time I read Georgia Music to my son he was 2-years old, if not younger. It was this book that showed me he has an incredible ability for focusing, absorbing, and articulating his understanding. The mockingbird is a fun character in this story and after reading it to him I pointed to the bird and asked him what it was. His reply? “A mockingbird.” I was proudly surprised considering this book is for a third grade reading level. Yesterday I brought this book out again for the first time in two years and read it to my three oldest children. Once again this story drew in its audience with the discreetly painted illustrations, the onomatopoeia, and the endearing relationship between grandpa and granddaughter. Once again the mockingbird delighted its listeners especially since we have them as visitors in our yard. Georgia Music is a favorite in our home library because its gentle narrative portrays the importance of making summer memories, treasuring the unique place grandparents should hold in their descendants’ lives, and the soothing tones of music upon one’s soul. Add this slender book to your own home library; it’s not a waste of space! I read this classic to my children over a few lunches. It’s roughly a third grade reading level but with enough animation and intermittent explanations my toddler and preschooler were able to follow along with interest. Reading this book carried me down memory lane since I read from the stapled-together copy I had as a child; as I read, the same intrigue and delight crept back into my heart and it was hard for me to stop when reading time was through. I appreciate this story for the integrity it encourages. Champ is an irresponsible collie dog who has not claimed his identity as a sheep dog and has earned the nickname Clown. Sometimes he does what he is has been trained to do but more often than not he pulls pranks and chases rabbits when he should be working. Then danger hits and when the rest of the family flees, Clown is left behind because he wasn’t around when the family left. Now he has the opportunity to decide which name he is going to live up to. The story is narrated in third person and allows the reader to see the story from the animals’ points of view with personifying them. It’s therefore a realistic versus fantastical story. This book will hold my children’s attention for many years to come and will provide ample opportunities for discussion about integrity, diligence, maturity, responsibility, bravery, loyalty, and sacrifice. This gem was a part of our personal library and I didn’t even realize it! I was rummaging through our books for our book nook time and happened it. The very first story was a straightforward recounting of Daniel in the Lion’s Den. It held the attention of all three of my little students (even the 18-month old). The illustrations (by Michael Hague) are detailed and realistic, something I appreciate when presenting classic narratives to children. 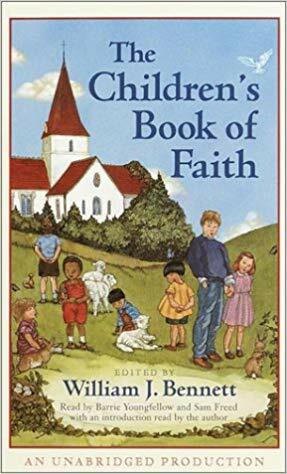 This anthology of faith-building stories includes those from the Bible, classic authors such as Leo Tolstoy, and parables inspired by Scripture. Poetry is slipped in between pages of prose to further support the theme of the book. If you are looking for a treasure to read again and again, select this one. 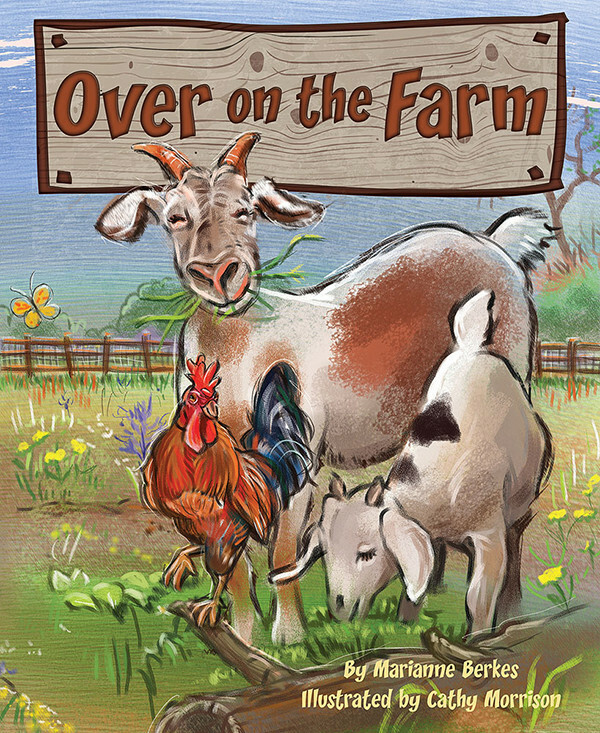 Over on the Farm: This merry read was recently given to us as a baby gift. It is the perfect addition for our ever-growing family and library. The first time I read it to the kids I had their attention after reading the first page. For the teaching mom, this could become a handy grab for teaching literary elements such as onomatopoeia, rhyming patterns and rhythm. The illustrations greatly enhance the story; my children eagerly search for the rooster on every page. They also enjoy guessing which animal mother is going to come next, and they like to practice their numbers by counting the babies that come with her. If you’re looking for an engaging family story to read this summer, this is it! The other day my preschooler walked into the room with about 5 hats on his head and proudly informed me that he had caps for sale! That’s when I knew that this book is one of his favorites. There is something about the repetition of the narrative, the simple plot, the surprising element of monkeys bringing the conflict, and the movements that can be easily acted out which make this story a delightful read for little people. I wouldn’t say that there is a profound moral to the story, but children can learn the importance of hard work (since the man had to sell his caps in order to eat lunch) and also that every problem can be resolved in time even after you’re ready to give up. Add this book to your home library and you may be surprised at the stories it inspires your young readers to create with their imaginations. This book is an unexpected gem! Personally, I am a Lemony Snicket enthusiast due to the enjoyment I gain from his Unfortunate series; however, this book was my first experience with one of his short stories. It did not disappoint. My 2- and 3-year old listened attentively and attempted to repeat each of the 13 words (‘haberdashery’ and ‘despondent’ were a bit challenging). The plot was silly and engaging yet, as my husband pointed out, clearly outlined for young readers how one assembles a series of events into a concise and interesting plot. Characters were introduced, summaries were included, tension was developed, etc. Both my husband and I were also pulled into the narrative and eager to see what the next word was going to be. If you would like to have a handy book for building vocabulary, teaching story-writing and holding the attention of kids and adults alike, add this simple title to your library. Mr Rogers recommended this book to us. He read it on one of his shows, and I knew that it needed to be added to our personal library. On each page there is are two brightly colored square flaps with an upper case and lower case letter (e.g. Aa, Bb). When the flap is opened out pops an animal whose name begins with the corresponding letter (e.g. a baboon is hiding behind the Bb flap). 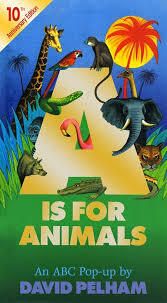 I was even more impressed with this book because it contains the less commonly known animals such as narwhal, quetzal, unicornfish and wallaby. As my children read this book over and over again they are learning letter recognition and building their vocabulary at the same time. Thank you Mr. Rogers! Good ol’ Carl! Who can spend a day with this brilliant dog and not fall in love with him? I met him as a child and knew that I wanted my children to meet him too. 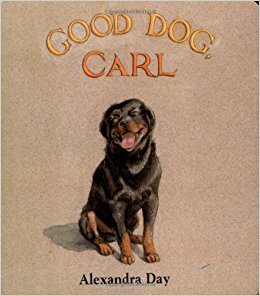 There are many titles in the Carl book series and the majority of them only have dialogue on the first and last pages. This allows for pleasant interaction between parent and child as the intricate illustrations are studied and the skill of story-telling is practiced. Every time the book is enjoyed the narration can change as more details are noticed on each page. My children will listen attentively as they book is read to them and then will “read” it to themselves days later, being sure to include the smallest details that were read to them. What a wonderful way to cultivate listening skills! Who says learning numbers can’t be fun?! This book was a favorite of mine as a child and now the very same copy is being read to my own kids! I used this book as way to introduce my preschooler to numbers for the very first time. 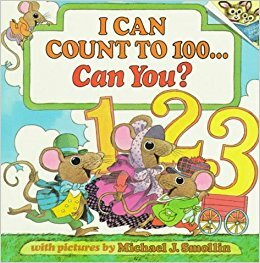 The bright-eyed mouse enthusiastically shows how numbers can be fun and that there is no reason to be intimidated by 100. He also shows how we use counting in nearly everything we do. The friendly illustrations, bright colors and cheerful mouse guide work together to make the instruction of counting delightful for both the parent and child.